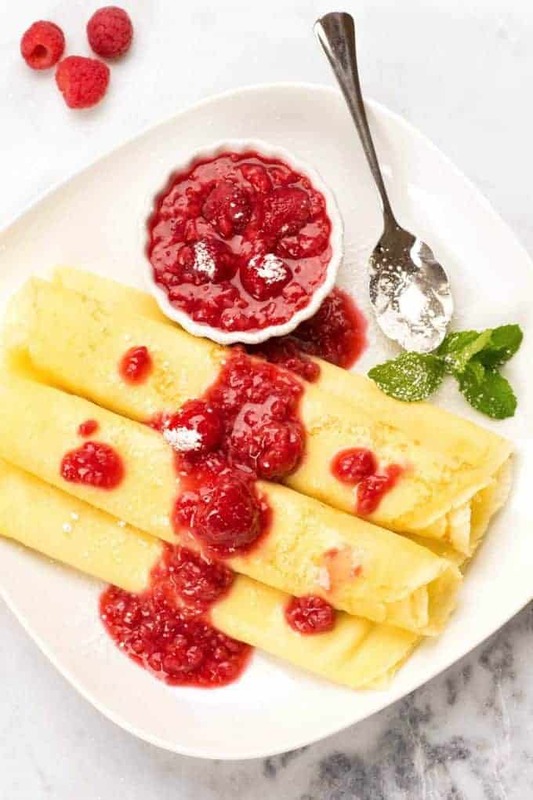 Palacsinta (Hungarian for pancake) are thin, delicate crêpes that can be made with a variety of fillings, both sweet and savory (see recipe notes). The sweet variety is most often served as dessert, but they make a fabulous dish for a special occasion brunch as well. 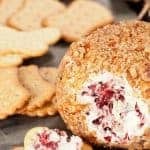 A favorite in our family for generations, this recipe is made with a lightly sweetened cottage cheese filling flavored with lemon zest and vanilla and topped with fresh raspberry sauce. In a medium mixing bowl, whisk together the eggs, milk, melted butter and salt. Whisk in the flour 1/4 cup at a time until the mixture is free of lumps and thoroughly combined. Cover and refrigerate for at least one hour to allow the batter to thicken. While the batter chills, make the filling and the raspberry sauce. For the filling, combine the cottage cheese, confectioners’ sugar, lemon zest and vanilla in a bowl. Cover and refrigerate until ready to use. 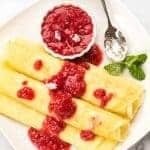 To prepare the sauce, place the raspberries, lemon juice and sugar in a small saucepan and bring to a simmer over medium-high heat. Whisk the water and cornstarch together in a small bowl until well blended, then add to the raspberry mixture. Return to a simmer and continue cooking until the mixture thickens to a syrup-like consistency. Transfer to a bowl and set aside to cool. To make the palacsinta, add 1 teaspoon of vegetable oil in an 10-inch nonstick pan and rub it over the bottom and sides with a paper towel. Heat the pan over medium heat and add 1/4 cup of the batter to the center of the pan. Working quickly, lift the pan from the heat, tilting and rotating until the batter coats it completely in a thin layer. As soon as the crêpe appears set and “dry” (20 to 30 seconds), flip it over and cook until barely browned, 10 to 15 seconds. Transfer to a plate and repeat with the remaining batter. Stack the cooked palacsinta (crêpe) on a plate. You should end up with about 1 dozen. To serve, place one crêpe on a flat surface and spread about 2-1/2 tablespoons of the filling on one side, about 1 inch in from the edges. Gently roll the crêpe to form a tube, making sure the filling is evenly distributed. Place seam side down on a serving plate and top with raspberry sauce. Making crêpes is an inexact science at best and it does take a little practice to get comfortable with the process. Here are a few tips to help you make a successful batch, even if it’s your first time making them. Always let the batter rest for at least 1 hour, then whisk again just before cooking to ensure there are no lumps. You can make the batter up to a day ahead if you like. Using a true, nonstick pan really helps. We generally use a 10-inch size, but an 8-inch works too. Just reduce the amount of batter you add for each crêpe to 3 tablespoons. You’ll get 4 to 6 more crêpes using the smaller sized pan. The first crêpe you make will help you judge the batter consistency. If it is too thick, it will be hard to get the batter to spread to the edges of the pan before it sets. Whisking in an additional 2 to 3 tablespoons of milk should help. If the batter is too thin, the first crêpe will become dry and brittle as it sets. It that’s the case, whisk in a little additional flour (1 or 2 tablespoons at most). As soon as the batter begins to dry around the edges and appears set, use a thin spatula to get under the crêpe and flip it quickly. Don’t worry if it doesn’t land perfectly flat after flipping. You should be to straighten it out easily enough. You can put a layer of wax paper between the cooked crêpes if you like, but we don’t bother and have never had an issue with them sticking together, even when made ahead and stored overnight. Jam Filled: Spread some of your favorite preserves (apricot, raspberry, strawberry) on the palacsinta, roll and dust with powdered sugar or a combination of powdered sugar and finely ground walnuts. Apple Filled: Sauté some thinly sliced apple in butter until tender, fill and roll the palacsinta and dust with powdered sugar. Savory Palacsinta: Prepare veal or chicken paprikas and dice the meat into small pieces. Fill and roll the palacsinta, tucking in the ends. Place them in a lightly greased baking dish, top with paprikas gravy and bake for 15 minutes or until heated through. Garnish with fresh parsley and serve. I also am Hungarian by birth. For the filling i use cottage cheese with a little sugar,vanilla and fresh dill chopped finely. Sooo good. It has been very hard getting authentic Hungarian recipes. My mom passed many years ago. I lost all of her recipes in a fire. So I’m really happy i found this one. Thank you so much. I’m glad you found the site. 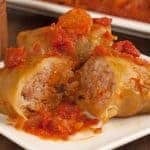 I hope to be posting more Hungarian recipes as time goes on. Your palacsinta filling with the fresh dill sounds delicious. My family used to grow dill in season and they used it in a lot of dishes. I am Hungarian by birth and I have been making Palacsinta forever. 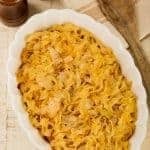 My husband and children love it for Sunday brunch. I always add about 1/2 cup club soda to lighten the batter makes them very light and tender. I also make my own “Túró” which is Hungarian version of cottage cheese and in my opinion much tastier. I mix it with a little bit of plain Greek yogurt for crepes plus the lemon zest and some vanilla sugar. 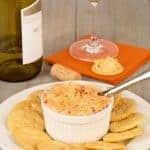 My husband likes them with my home canned “boozey” peaches. Mix together in a stainless steel pot and let rest covered in a warming place until starting to thicken. In cover and place in 250f oven until a top forms a uniform curd. Drain through cheesecloth and hang the cheesecloth until Túró no longer drains liquid. Put Túró in a container and refrigerate until needed. Thank you so much for sharing the hint about the club soda and the recipe for Túró. I am definitely going to give both a try. Hope you don’t mind, I added the US conversion for liters to ounces/quarts. The home-canned peaches sound wonderful too. Crepes are always perfect for a brunch. This is a wonderful crepes recipe. I love all the flavors here! The filling sounds so interesting. I love the color contrast with the sauce too! My mom would make us crepes for Sunday breakfasts—always a favorite! Yours look amazing, Lynne! I love crepes but savory and sweet. These look beautiful and delicious! Those look absolutely perfect! Maybe I’ll request some for Mother’s Day! Be sure to get someone else to do the cooking (and the dishes)! Crepes are a big favourite in my family. Sometimes my husband like to make them with lemon juice and brown sugar. He made them for me when the fridge was empty. Your look delicious. Your husband’s lemon and brown sugar combo sounds good! This looks perfect for a mother’s day brunch! You’re right – they’re great as a brunch dish and it’s easy to make everything ahead and just assemble them when you’re ready to serve.